Favorite table decorations and serving pieces remind me of special family occasions though the years. My dining room table once belonged to my mother and was where we shared many holidays dinners together. There was lots of laughter and good food. Today, I have plates and glassware from three generations on each side of the family. I love mixing and matching pieces from different sets. Each piece brings back a happy or funny memory a particular person or celebration. Tables can be rich in family history – if only they could talk! My favorite table decorations go in and out of fashion. This year, I feel right in style. 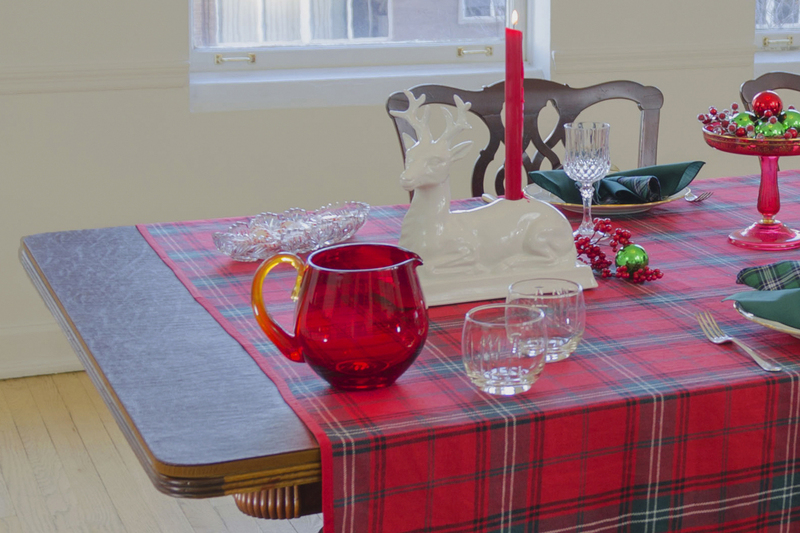 I noticed that a well-known designer used reindeer much like mine for decorating her table. 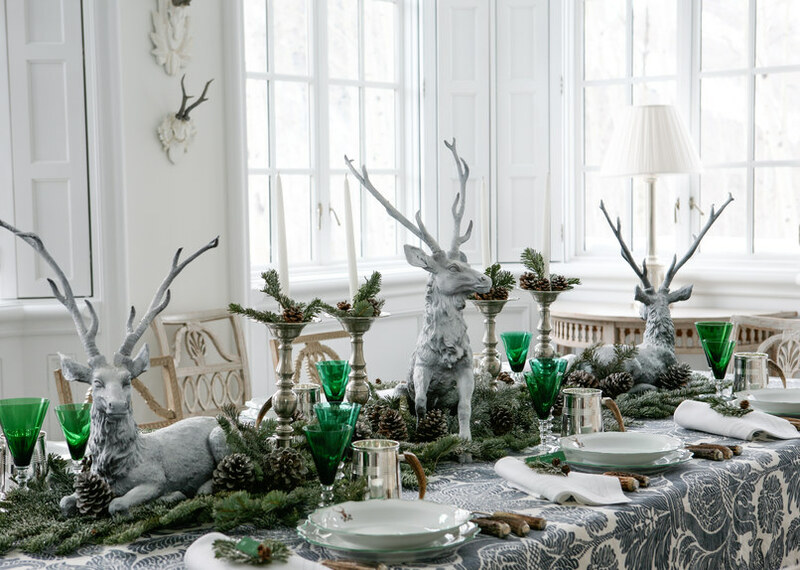 Architectural Digest (December 14, 2015) features a sumptuous reindeer-themed tablescape by Carolyne Roehm. See her photo below.